Try this recipe once and you will want more n more of this. 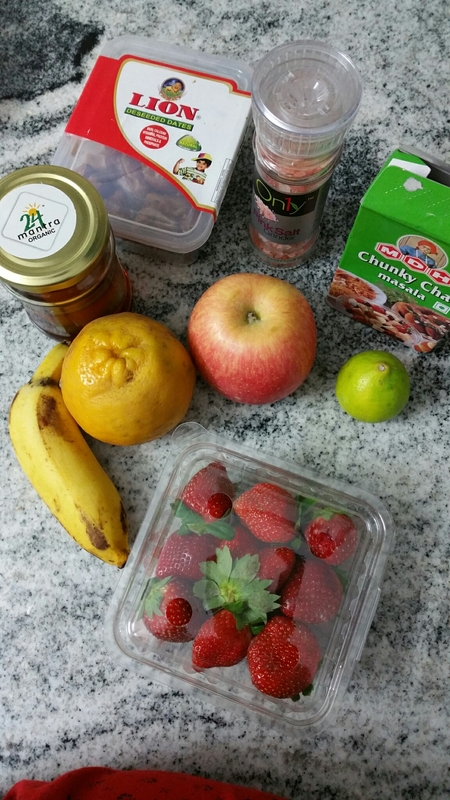 Flavour of fruits get enhanced once a few ingredients are added. A fun dessert that everyone will love. Fruits : pick up at least 3 varieties of fruits. Pink salt : to taste . Even normal salt will do. Honey: as per your taste. Dates: optional. Chop up a few. Chat masala: a pinch of chaat masala for a bowl of fruits is a lot. This can be found in all Asian stores. 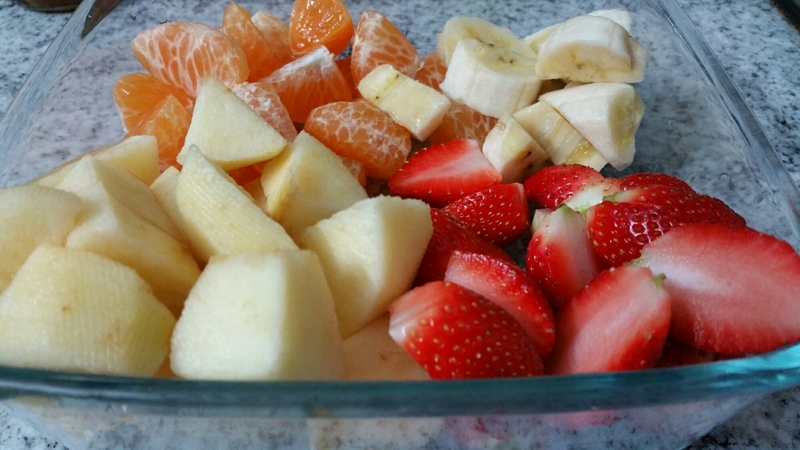 Procedure : chop all the fruits into bite sized pieces . Add lemon juice, honey, salt, chaat masala and mix well. 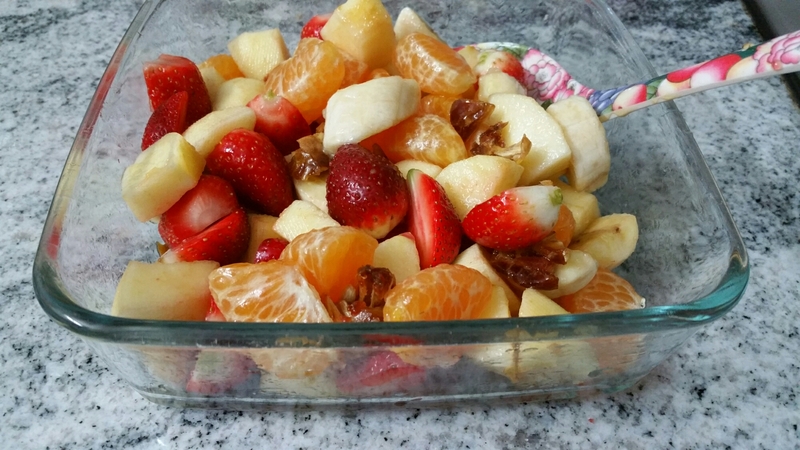 Yummy fruit chaat is ready to be served. Categories: Uncategorized | Tags: chaat, chat, fruit, fruit chaat, salad, spices | Permalink.